NASA’s New Horizons mission flew past its next target, 2014 MU69, revealing that it is like a snowman. This is similar in shape to other comets and icy bodies, such as the 67P that ESA Rosetta mission explored. 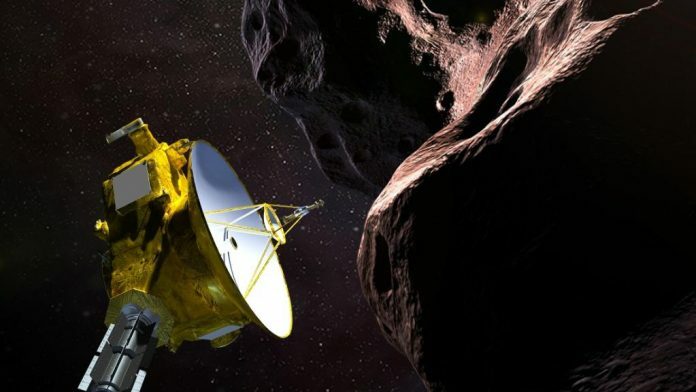 NASA has also come under fire for picking out a nickname, ‘Ultima Thule’ (pronounced “Too-lee”), that has obvious Nazi connections. More on that story here. For the first time ever, scientists have scanned and found a shark foetus that swims inside the mothers body, moving between the two uteri she has. After this finding, scientists in the same aquarium were able to study multiple other sharks and found more unborn sharks swimming inside their mothers’ bodies, foraging for unfertilised eggs to consume. More on The Atlantic here. Ecologists have found that small animals the size of a house cat, named fishers, attack and take down bigger cats such as the lynx. Since they can’t consume the entire carcass, they dismember the body and hide the parts in different locations. And it turns out bobcats, that are smaller than the lynx, are the predators for these cute but violent fishers. More on Nat Geo. Earth is missing large chunks of its crust. This was discovered with carbon dating. In the Grand Canyon, for example, 1.2 billion years of rock are missing. For a long time, we didn’t know where it went. But turns out, the culprits are glaciers. During the last ice age, glaciers had pushed large amounts of rocks into the oceans, which then were recycled by mixing with the mantle, and formed new rocks. More on Live Science.